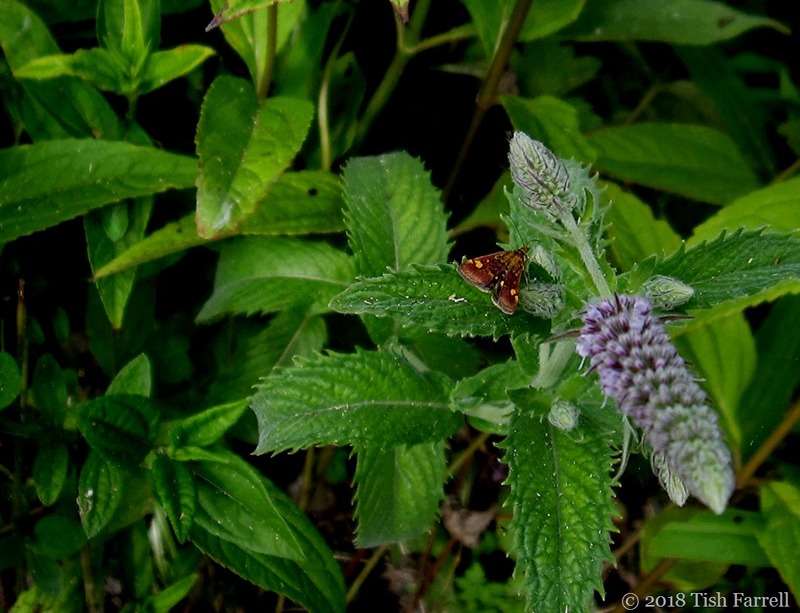 Posted on August 5, 2018 by Tish Farrell	This entry was posted in entomology, gardening and tagged Mint Moth, Much Wenlock, Tish Farrell Writer. Bookmark the permalink. A beauty. Pete will be grinning when he sees it. Perhaps you should start recording all the species of fauna you come across? You’ll be surprised how they suddenly start to pop up and (relatively) quickly you learn the names. It helps awareness and is great fun too. The way my memory works these days, it would indeed be a good idea to log them. I started simply to know what birds we had. Before long I had files for butterflies, bees, spiders and every sort of bug in the garden. That’s a good ecological record too. A pretty little moth — mint moth! Well done for such a god shot and for i-d-ing it! Thank you, Jude. We seem to have the snapping bug bug. Ark and Pete have clearly been stirring us up. Which reminds me, I’ve got an ace pic of a tiny crab spider which I must post. 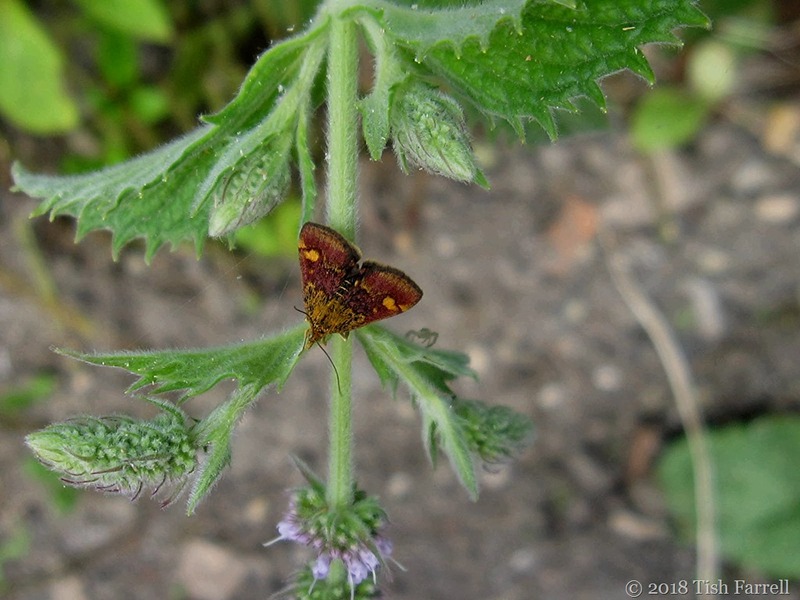 As to the Mint Moth, the link did say they were present across the country, but also sporadic. Now seems to be a good time to spot them though, and the spearmint was definitely the key lure. 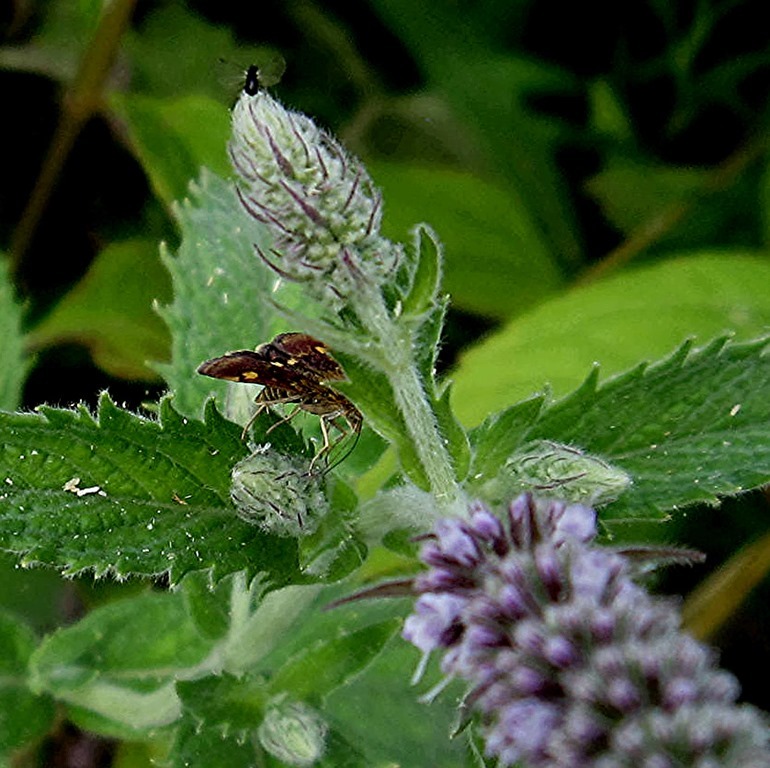 I euphemistically call these micro moths ‘turkish carpets’ – they love the oregano too, knowing it is also one of the mint family! Little flying carpets then. That’s perfect, Laura.